Michelle Dixon is a partner and the Chief Executive Officer of Maddocks, an Australian law firm with offices in Melbourne, Sydney and Canberra. 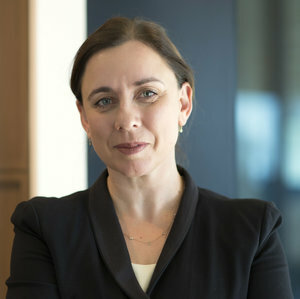 Michelle was appointed as CEO of Maddocks in 2014 after 13 years as a partner and 8 years as leader of the firm’s commercial disputes team. Michelle’s leadership has seen the firm continue to grow and to lead the way on issues such as gender equality and diversity. During her time as CEO, Maddocks has been recognised as an Employer of Choice for Gender Equality by the Workplace Gender Equity Agency (WGEA). Her leadership led Michelle to be named one of the Australian Financial Review’s 100 Women of Influence in 2015. In 2016, Michelle was awarded the Victorian Award for Excellence in Women’s Leadership, an initiative by Women and Leadership Australia that recognises the contribution of a woman in elevating the visibility and importance of Australian women receiving equitable access to higher levels of leadership. She was also named Executive of the Year at the Lawyers Weekly Women in Law Awards in 2016. She is an ambassador for the WGEA ‘In Your Hands’ initiative for pay equity, a Patron of Professional Mums and is a champion of the Maddocks Women initiative, set up to help the firm’s female employees with their professional development and to promote the firm as an innovative and responsive employer for women. Michelle is a member of The Nature Conservancy Australia’s Advisory Board. She is married to Chris, a mum to two young children and foster mum to a 22 year old (which makes her feel old).